If you saw my last post, then you'll know that this month has been hard for me and my husband. I'm so grateful for all of your kind support by the way. I feel a bit silly, since there are obviously people who are going through much more difficult situations on a daily basis--but I think there's something to be said for accepting where you are in your mental health journey and for celebrating baby steps toward feeling better. As a result of feeling mentally and physically crappy this month, I seriously let my skincare (and self-care in general) slide. 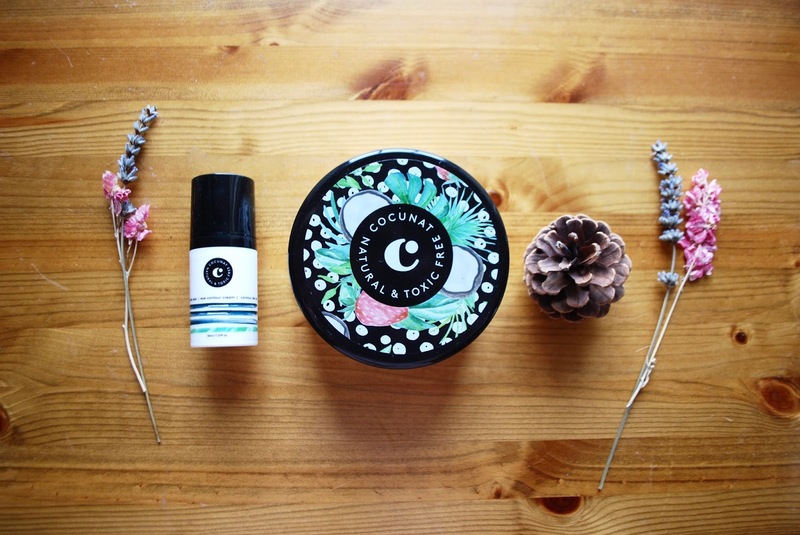 Since I've got really sensitive skin, I was so happy when I was sent some PR samples from this awesome new brand, Cocunat. They are totally cruelty- and toxic-free, so those of us with sensitive skin (and anyone who wants to make sure they're not putting any nasties in their body) can rejoice! Plus, the company is based in Barcelona, which is one of my favourite cities in the whole wide world (one of my best friends is from there!). Note: this is *not* sponsored, I just genuinely love these products. I did receive them as PR samples. I will never recommend something that doesn't work, because I believe your money and your skin are valuable and deserve respect. My main concern with eye creams is that many of them don't seem to actually do anything or make any sort of difference to the eye area. The Cocunat offering and the Clinique Pep Start eye cream are the only two that have actually lived up to their claims. This one from Cocunat has hyaluronic acid AND caffeine--two ingredients that my skin loves. With continuous use, this cream hydrates and tightens, plumping up fine lines and sallow under eyes. This strawberry body butter smells like you've slathered your skin in fresh strawberries. I'm obsessed. It's really perked me up during these dark winter days (in the words of my cousin, seasonal depression is real, y'all!). What I love most about this product is that it's super nourishing but it isn't greasy--it sinks in super quickly and almost has a matte finish. In my experience, it sinks in more rapidly and is more nourishing than the Glossier Body Hero moisturiser. I love applying this to my hands before bed and during the work day. Have you guys tried this brand? What are your favourite skincare pick-me-ups?